A Pembrokeshire airman, who was shot down over Belgium during World War 2, has enjoyed an emotional reunion with a former member of his crew. Pilot John Evans, who was born in Goodwick, was visited by his former bomb aimer, Bill Robertson, who travelled from Canada for the meeting. The two men are the last of the crew of a Halifax bomber which was set alight by a German night-fighter on the night of May 12/13, 1944. They had been taking part on a raid on the railway marshalling yards at Hasselt. The whole crew parachuted to safety. Both John and Bill were able to make contact with the local resistance. 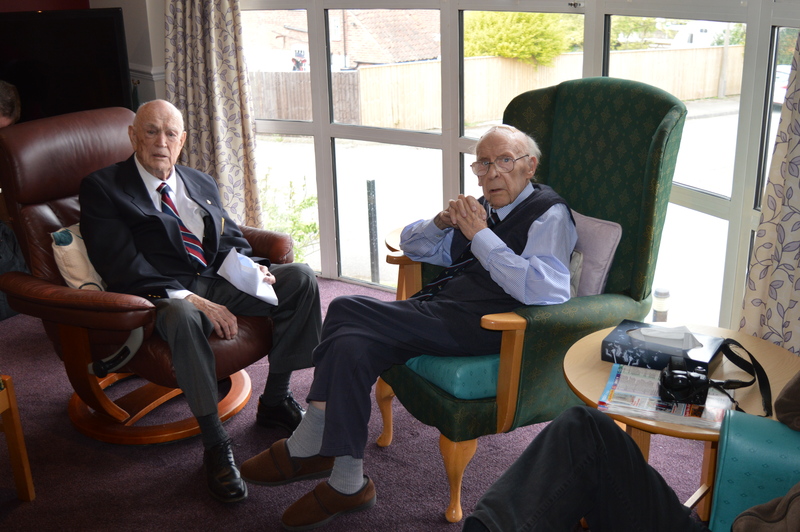 “We were kept together for a while, then taken to separate safe houses and did not know anything about each other until after the war,” said John, who is now 95. 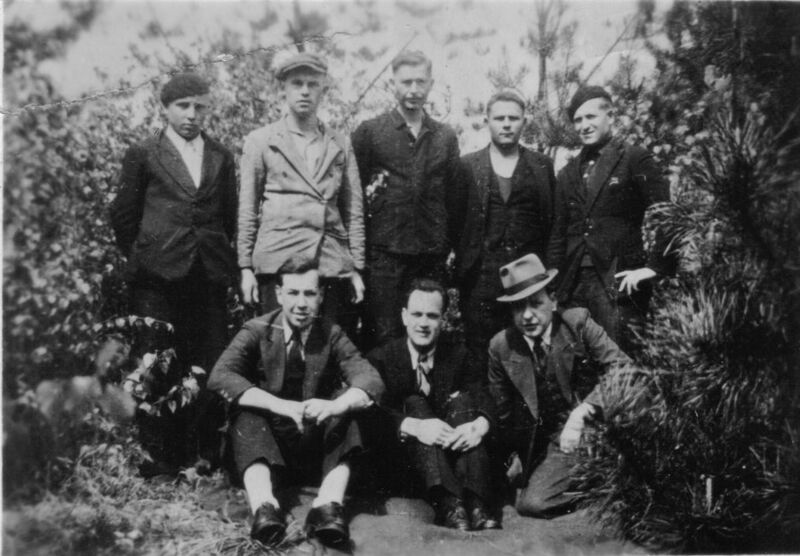 Many of the people who helped John and Bill were later arrested by the Gestapo. Both met up with those who survived after the war. Both men were hidden until September 1944 when they were liberated by the advancing American forces. The men met in Calverton, near Nottingham, where John now lives near his daughter, Judy. He still has a number of relatives in Pembrokeshire, including his brother-in-law Tom Morris, a retired police sergeant from Cardigan Road, Haverfordwest, and his niece Georgina Youngs, of Fishguard. On his trip to Europe, Bill also met John’s brother, Doug, who lives in Surrey and was himself a bomber pilot during World War 2. Bill then travelled to Hasselt where local historians have laid a memorial stone where the men’s Halifax bomber crashed. * The book ‘Airman Missing’ which told John’s story is currently out of print but is planned for it to be released as an e-book later this year. A few years ago while working on a book called ‘Airman Missing’, a short biography of RAF evader John Evans (no longer in print! 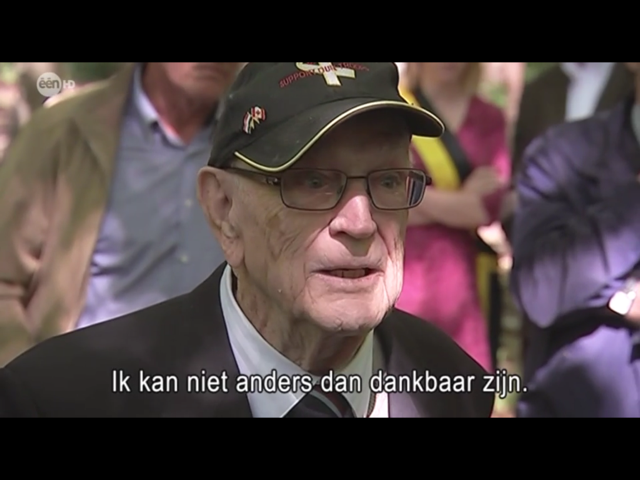 ), I became intrigued with those who had helped him evade capture in occupied Belgium. John, who was originally from Goodwick, Pembrokeshire, evaded the Germans for 114 days after his Halifax was shot down in May 1944. His helpers included Emile Roiseux and Vincent and Ghislaine Wuyts-Denis, but for the purposes of this article I’d like to concentrate on the Biernaux family of Hasselt. I am currently working on a TV documentary of John’s life (and an expanded version of the book) and am hoping to interview relatives of those who helped John. John and fellow crew members Doug Lloyd and Bill “Robbie” Robertson were guided from a makeshift camp in a wood to Hasselt by Florent Biernaux on Sunday, May 20, 1944. I did not realize when writing ‘Airman Missing’ just what a hub of Résistance activity the four-storey townhouse at 16 Boulevard Thonissen, Hasselt, had become. Since the book came out I have been contacted by fellow researcher Jo Ann Michel, whose uncle, RCAF gunner Walter Mullaney, passed through Hasselt in June 1943. Jo Ann’s documents include affidavits regarding the Biernaux family’s involvement in clandestine actions, including the production of undercover newspapers. Florent’s wife was no less remarkable. Olympe Doby was born at Cambron St Vincent on January 24, 1900. One US document reads: “In addition to shouldering the responsibilities of chief of her group, Madame Biernaux also sheltered an estimated fifty Allied fliers in her own house, where she fed, clothed and cared for them over varying periods of time. Her medals included a Croix de Guerre, a Médaille de la Résistance and a Freedom Medal. The couple had two children. John has no recollection of seeing their daughter, Elaine (born March 1930) but he remembers their son, Raymond (born May 1924). Raymond was affiliated to the Groupe Hoornaert-Dirix from August 1940 and, although arrested with his parents, was awarded the Chevalier de l’Ordre de Leopold II avec glaives and the Croix de Guerre avec palmes. These awards, sadly, would be made posthumously. John remembered that food and medicine were in good black-market supply at the Biernaux household and, although the town also seemed “well-stocked” with Germans, some of the dangers came from closer to home. “The day after we arrived the Americans sent over some Thunderbolt fighters to dive bomb the bridge across the Albert Canal which runs through Hasselt,” said John. In a letter to John Evans after the war, Florent explained that his family, along with other members of the organisation, including friend Jacques Constant Bertels, had been arrested on August 5, 1944. Florent was tortured by the Gestapo while, on August 14, Olympe and two other members of the group, Mrs Degueldre and her daughter, were moved to St-Gilles and from there to Ravensbrück. Florent was able to escape on September 2 but his family was to suffer for some time to come. The three women came home on May 24, 1945. Olympe had lost 45 pounds in weight. The family already knew that Jacques Bertels had perished in Neuengamme concentration camp, near Hamburg, but, as Florent wrote, “we know nothing of my son”. Sadly, that was not to be the case. Raymond had died in Neuengamme on March 3, 1945. He was 20. Medals and citations aside, the real testament to the bravery of the Biernaux family was the lives they saved. The family helped around 60 airmen before their arrest. Back in the 1970s the BBC produced a critically-acclaimed drama series called Secret Army. The programme followed the exploits of a group of ordinary Belgians who ran an evasion line, helping Allied airman return to Britain after being shot down. The series was based on the Comet Line, a network established by a young Belgian girl, Andrée de Jongh, who died last year. One of the men saved by the line was John Evans from Goodwick in Pembrokeshire. Airman Missing (see left) tells the story of John’s life behind enemy lines and, in particular, pays tribute to the brave volunteers who saved his life. It also describes how he tracked many of them down after the war. There were some tearful reunions. And there were sadly others who had not survived to be reunited with those they had protected during the dark days of Nazi occupation. :: Pictured John Evans (in the hat) hides out in a Belgian wood in 1944 with fellow airmen and escaped Russian prisoners of war.